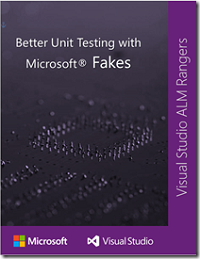 We are pleased to announce v1 of the Better Unit Testing with Microsoft Fakes guide, under Visual Studio Test Tooling Guidance, which allows you to get familiar with the Microsoft Fakes framework, to be in a position to promote, position and use it effectively. Today's Mobile Monday project is one that's kind of cool, in a weird "track your health stat's via a Windows Phone 8 Health Vault enabled app" kind of way. Congratulations to the New and Renewed MVPs! This white paper discusses the planning, line-of-business application compatibility, imaging, security, and backend system considerations and experiences of the Microsoft IT team when managing desktop and laptop machines running Windows 8 and Windows 7 within the same corporate network. The last two weeks I have been developing an application that creates Sales Orders from a web interface. The application is used to return damaged watches and sunglasses to the repair centre. It creates a Sales Order entry in SYSPRO and makes use of various custom fields to store data not available in SYSPRO. The application wasn’t very complicated, but did take a few days to complete. During this development, I came across a nice quick tip (see reference below) when browsing ASP.NET pages in Visual Studio that allows you to specify that you need to browse with a Browser (IE in this case) sans the add-ons. I wanted to share this here.